Arctic Heat Pump Steel Stand works with all Arctic Heat Pumps incuding Pool/Spa and EVI Cold Climate Technology models. 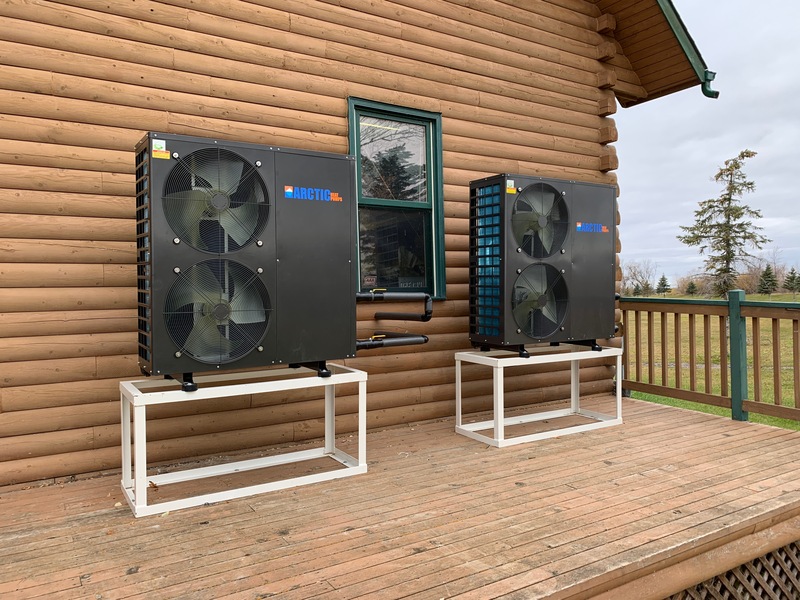 Each stand is a 1/4" steel welded angle iron frame with pre drilled holes matching the Heat pumps feet, as well as holes for mounting to the ground. We feel that being honest is a much better policy to win your trust rather than trying to lure you with nearly impossible statements such as lifetime warranty. Nothing lasts forever! Our warranty policy is simple; we offer a 2 year warranty on everything we sell! With this warranty you will get NO hassle next business day replacement (if shipping service and inventory permits). However, as a valued customer you will get technical support through the lifetime ownership of your product. The warranty cover failures that occur during normal operational conditions or manufactures defects. It does not cover failure due to inappropriate operation such as freezing or external damages. Damage caused by vandalism, storms, floods etc. Your household insurance should be modified to cover the system from such situations.